CAT-Law Navigator: Down…But, Not Out! Assignment of benefits (“AOB”) have become a double-edge sword for the consuming public. While the public policy reasoning for their creation, to allow the insured to obtain immediate, necessary assistance in meeting their mitigation obligation and getting back to pre-loss condition, remains sound, the increased level of abuse has proven to be public enemy number one. The Florida Office of the Insurance Consumer Advocate (“ICA”) reports that the abuse of AOBs “allows unscrupulous contractors to overinflate or submit improper claims, causing legal battles between the contractor and the insurance company, with the consumer left out of the picture.” As a result, the ICA continues to monitor the effects of AOB abuse and report on the collected data to assist in proactive resolution of practices that may adversely affect consumers. The collected data bolsters the need for proposed solutions, such as the legislative attempts to invoke reforms. The Florida Legislature (urged by Florida court decisions) has worked on legislation designed to combat systemic AOB abuse. Unfortunately, for the second year in a row, these legislative efforts have failed. While the immediate battle has been lost, that momentum to win the war has grown stronger. In 2016, several pieces of legislation were proposed to address relevant AOB issues. Similar legislative efforts were launched in 2017 to combat AOB abuse. Senate Bill 1038, filed February 17, 2017, addressed assignment of property insurance benefits by prohibiting certain awards of attorney fees to certain persons or entities in suits based on claims arising under property insurance policies and requiring specific conditions before finding that an assignment agreement is valid. Senate Bill 1038 died in the Committee on Banking and Insurance on May 5, 2017. Senate Bill 1150, filed February 22, 2017, related to regulation of water damage restoration. It defined the terms “professional water damage restorer” and “water damage restoration” such that the Department of Business and Professional Regulation would be required to license applicants who are qualified to practice water damage restoration and specify the qualifications for licensure. Senate Bill 1150 was withdrawn from further consideration on May 1, 2017. Senate Bill 1218, filed February 24, 2017, addressed property repair, creating within the Department of Business and Professional Regulation the water damage restoration services licensing program that would provide examination requirements for applicants for professional water damage restorer licensure. It would also require the department to license qualified applicants who meet and maintain specified requirements, including requiring professional water damage restorers to maintain specified insurance coverage. Senate Bill 1218 died on May 5, 2017 in the Committee on Regulated Industries. House Bill 1421, filed March 7, 2017, addressed property insurance assignment agreements by providing requirements and limitations of assignments, establishing a burden of proof, providing for an award of reasonable attorney fees for certain claims arising under assignment agreements, setting forth specific notice and reporting requirements, and confirming that certain residential property insurance policies may not prohibit assignment of post-loss benefits. House Bill 1421 died in Committee on Banking and Insurance on May 5, 2017. I applaud the Florida House of Representatives for their favorable vote on HB 1421 today, and I am especially grateful to Representative James Grant, the bill sponsor, and Representative Rene Plasencia, the prime co-sponsor. 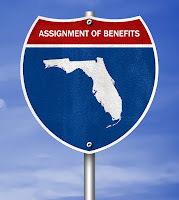 This legislation makes significant progress in protecting Florida consumers from homeowners insurance rate increases fueled by rising litigation costs associated with an Assignment of Benefits (AOB). 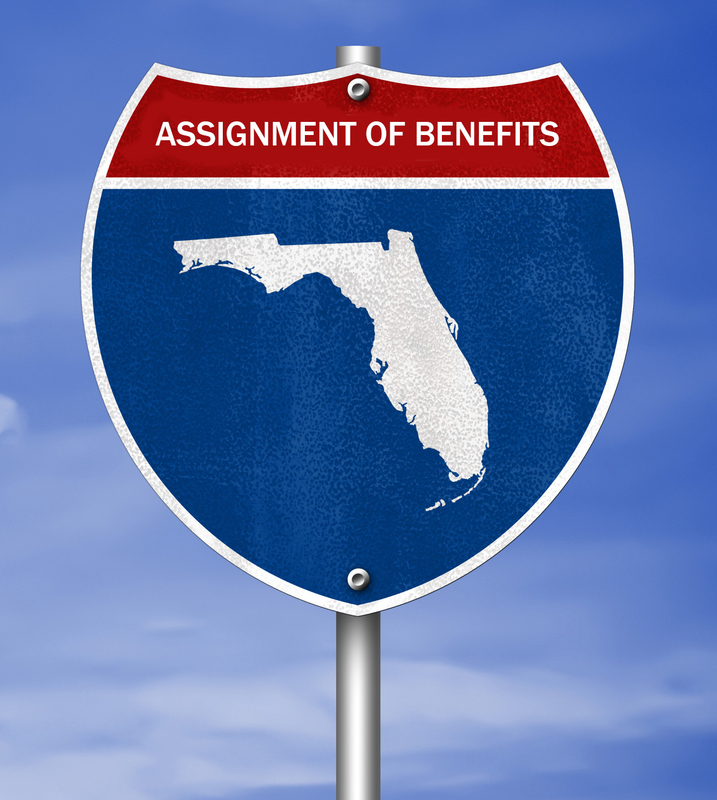 We appreciate the support and efforts of the entire Florida Legislature as they considered this legislative priority of the Office of Insurance Regulation during the 2017 Session. The takeaway from the past two legislative sessions ought to be that while the battle has been lost, there has been forward progress. Several years ago, the AOB war was waged in courthouses. Judges recognized the long-standing tradition and public-policy basis for allowing insureds to assign their indemnity benefits to expedite remediation, so they called upon lawmakers to take action. While the recent two years of effort have not been successful, those efforts reveal the existence of an advancing campaign against AOB abuse.